Price: $800 Picked up with tires. 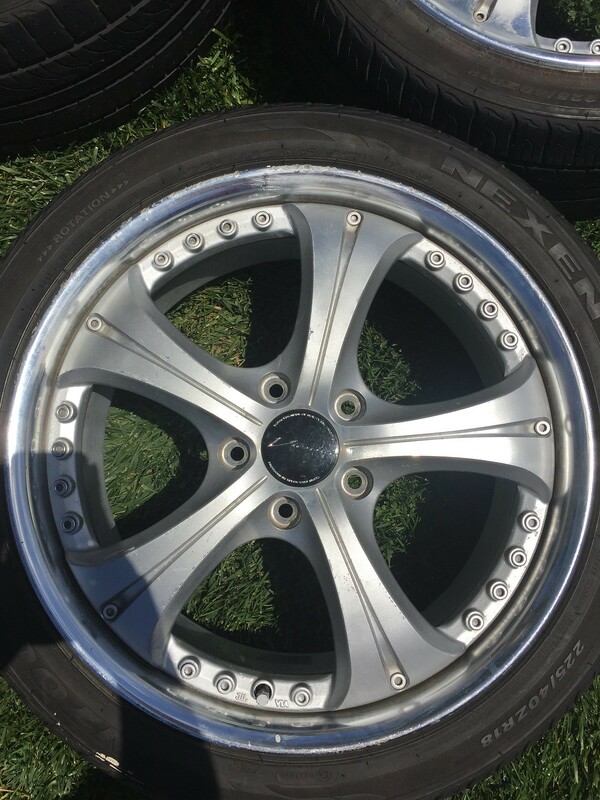 Willing to ship the wheels without tires. Can arrange a meet up anywhere in the Los Angeles/Orange County area with a deposit prior to meeting up to ensure no ones time is wasted. Also willing to ship at the buyers expense. First bump! Going to be traveling to the Los Angeles area this weekend, meaning I'll be able to bring the wheels to LA for sale! Would you want to split the set? 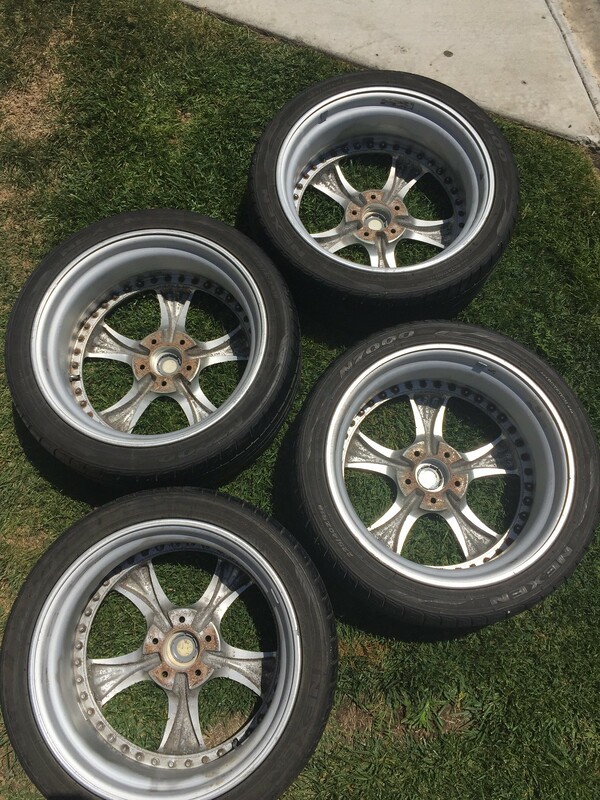 Price shipped without tires to 02769? These aren't welded, correct? True 3pc? PM. 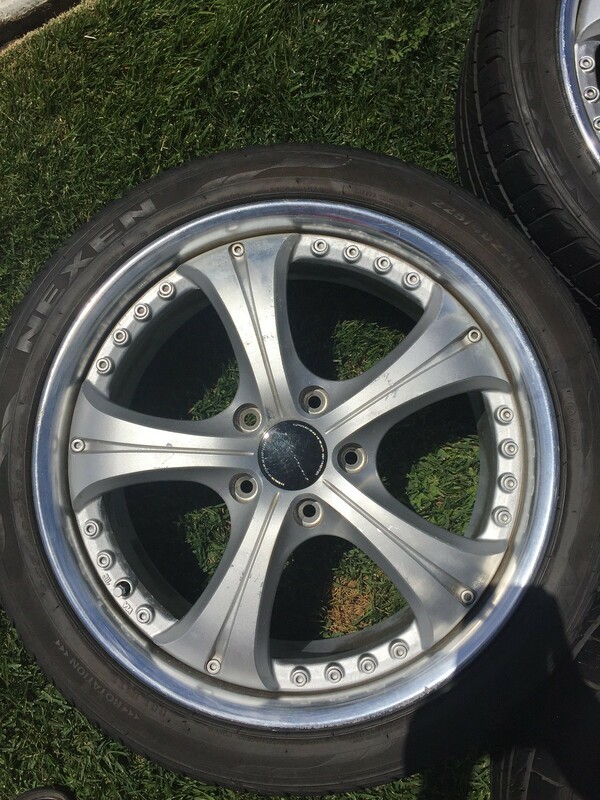 The wheels are 3 pc welded. The weld can be split precisely and without problem by my local wheel rebuilder if you're interested. I know this because my SSR Minerva's were 3pc welded as well with the inner and outer barrel welded together, and I was able to have the welds split to rebuild them without any issues. With that said, please let me know if you are still interested and if there any other questions you might have. Thank you in advance. 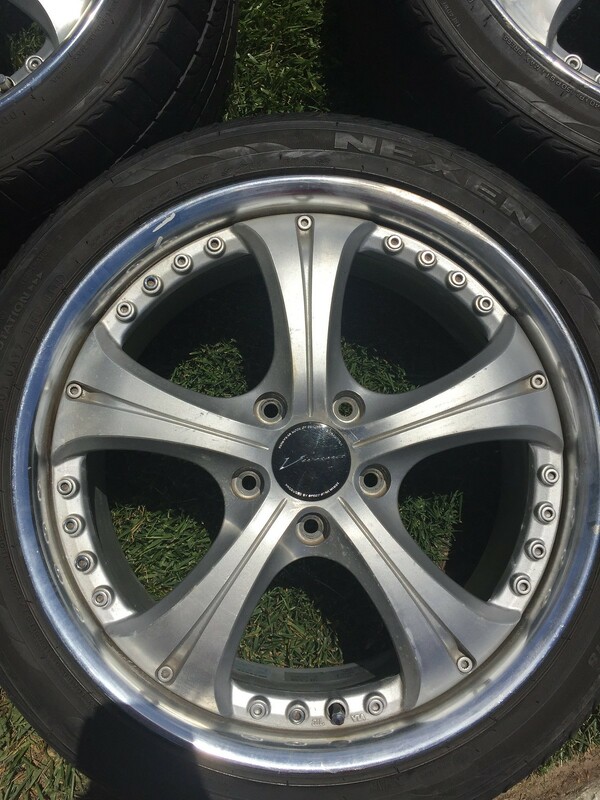 Bump for price change to $800 picked up, COMES WITH NEXEN N7000 TIRES!!!!!! 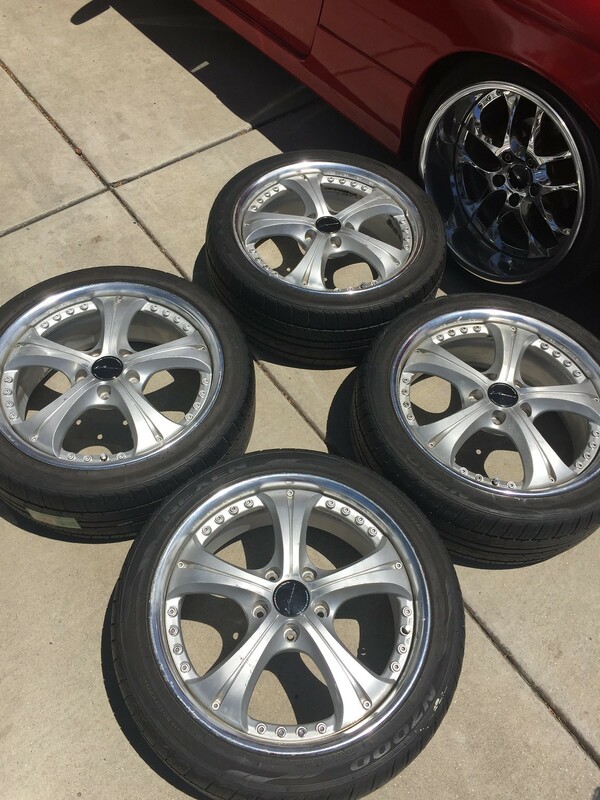 FIRST PERSON WITH $800 TAKES THESE HOME WITH TIRES!!!!!!!!! 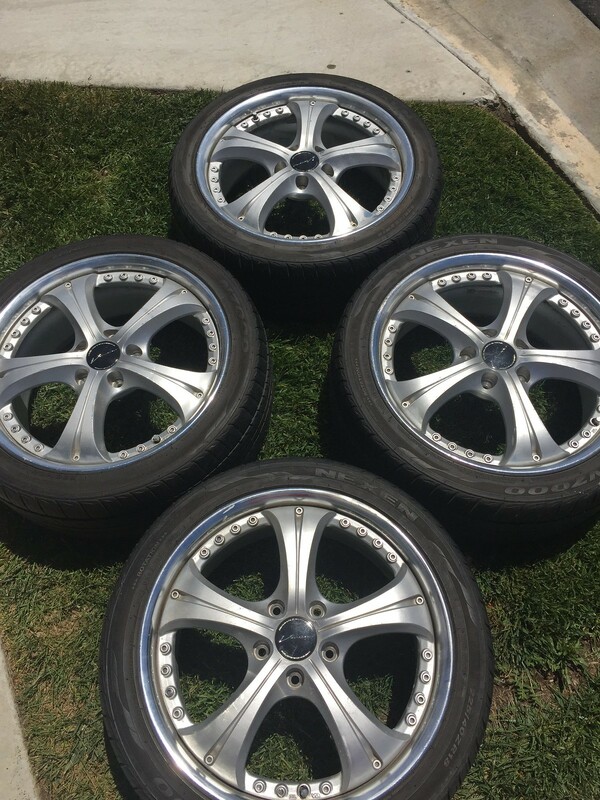 Willing to remove the tires to reduce the price. 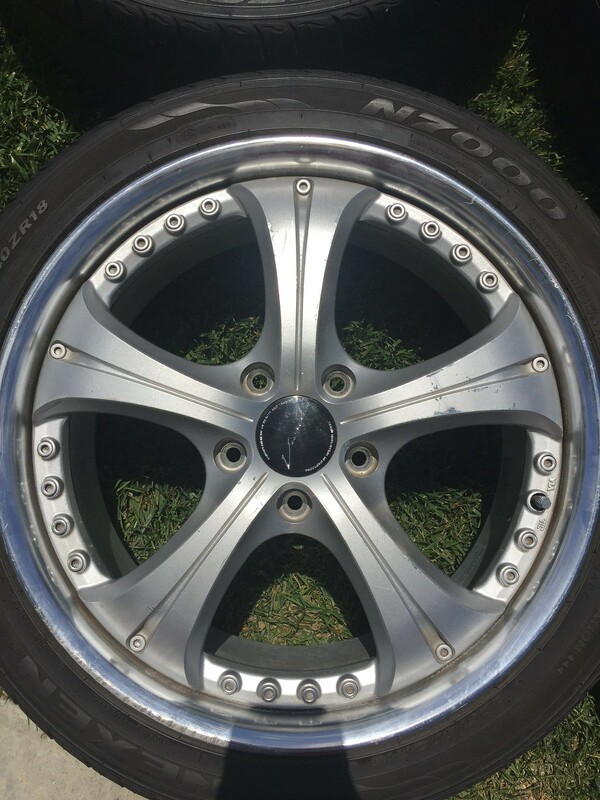 Yeah, I know they can be split but the added cost of splitting is a turn off for me especially with a wheel that won't exactly have a decent return on the cost. Gotta keep those kinds of thoughts in your brain! I do appreciate it though. I'll keep it in mind in case. Sunday Bump. 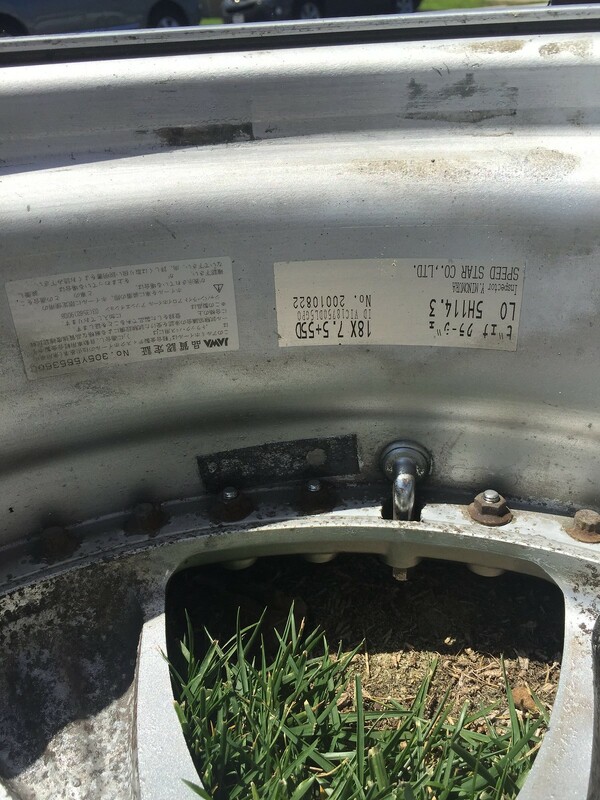 Can remove tires to reduce price!